Two separate pieces that hug your ear; the bar of the Rhye Earring Jackets can also be worn solo. Or personalize it and replace the bar with your favourite stud. I love my new earrings. They are stylish with a quiet fun to them. Perfect for office or weekend. 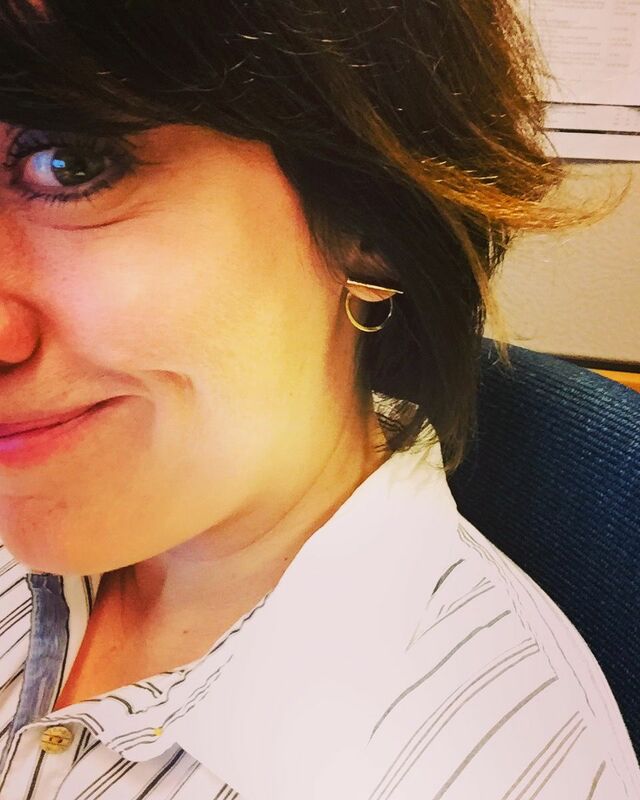 love these earrings - I get lots of compliments on them and I love that the circle can be removed if I just want the straight lines. The Rhye Jacket earrings are lightweight and have a minimalist look , which makes them versatile to wear with many outfits. I bought the gold pair and wear them with the Rhye Pendant Necklace. The quality of these earrings is wonderful. The materials are beautiful and the design is fantastic. I especially love that I can wear the front separately, or mix and match the front or back pieces with others from the collection!